Following the heart is a great act of courage. Fear is a shadow that holds us back and limits our experience. By bravely entering into and investigating this emotional territory through the Heartbeat maps of the 5Rhythms, we can discover and liberate lost and stuck energy and find renewed vigor for our lives. Neil Pinnock will be your guide. He trained 5Rhythms in 2007 with Gabrielle Roth and has been dancing for nearly 20 years. 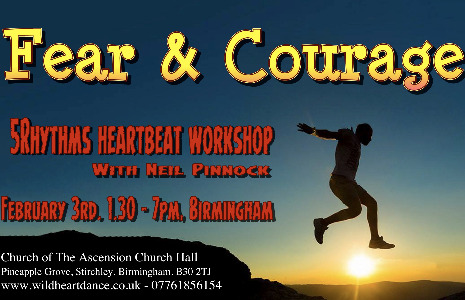 Neil offers his depth of experience locally and internationally at Heartbeat and Waves level events. £40 after, £45 on the door.